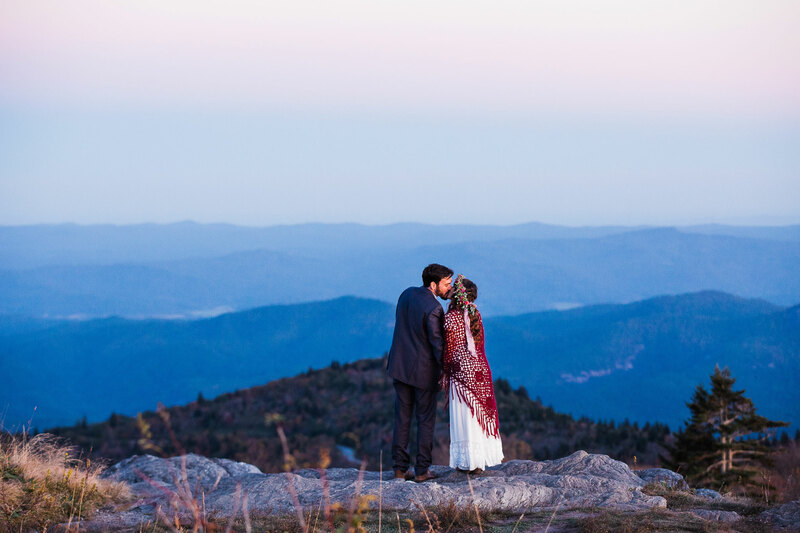 A private elopement on a mountaintop with boho details. 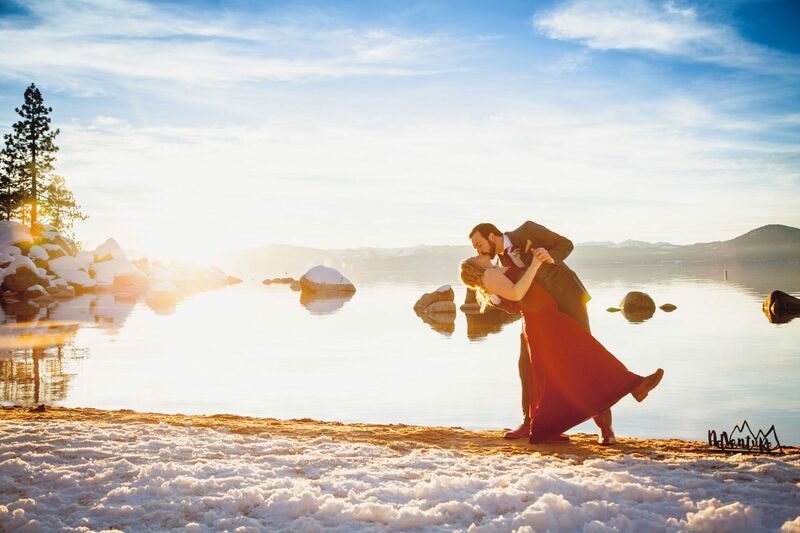 An adventurous helicopter elopement at the gorgeous Lake Lovely Water. 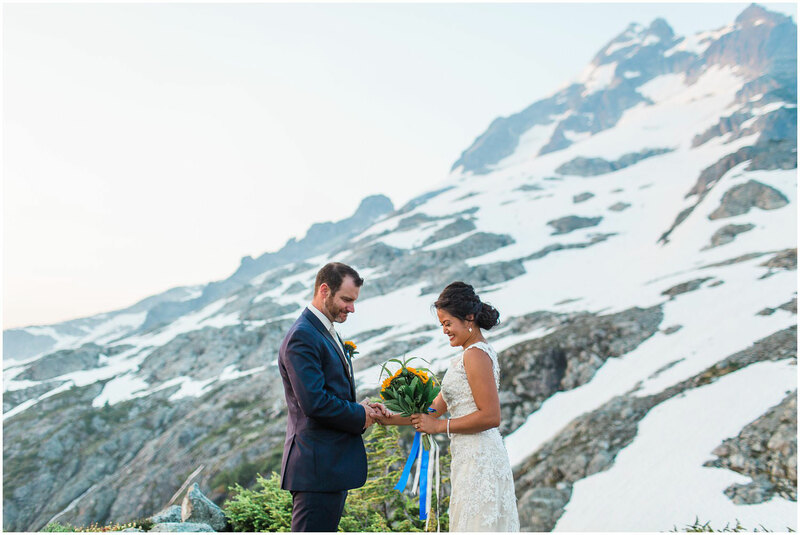 After the couple said their heartfelt personal vows and exchanged rings, they said goodbye to the officiant, photographer and the helicopter, then they climbed the steep glacier peak. 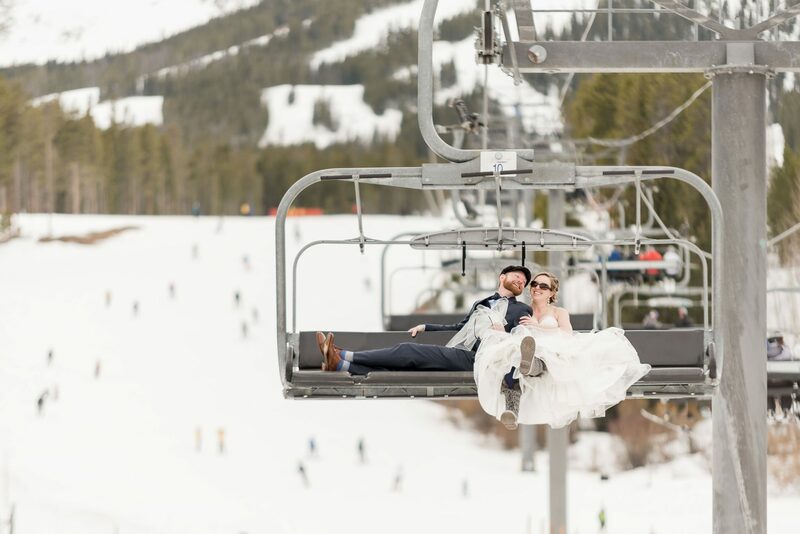 In the midst of planning a big Texas wedding, Laura & Adam decided to drop the idea of a huge celebration and jet off to Breckenridge, Colorado with their closest friends to say “I do” in the snow. 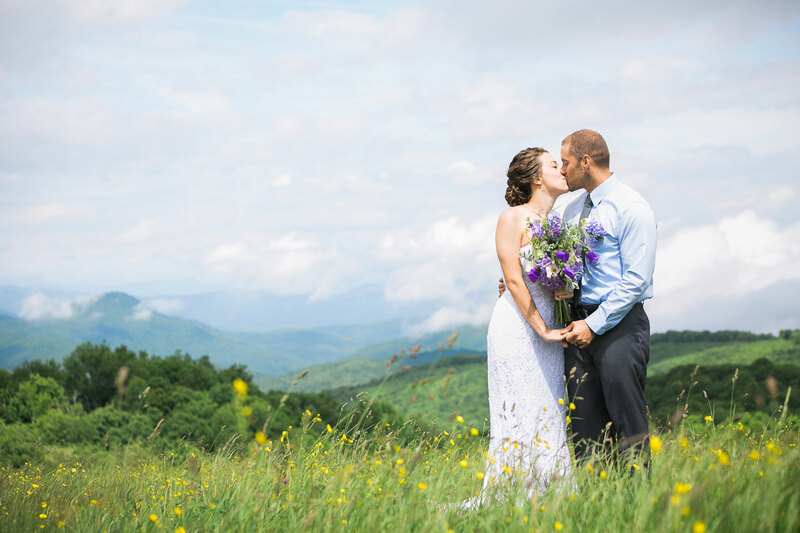 Surrounded by wildflowers on a mountaintop in Asheville, North Carolina, Amber & Josh tied the knot in an intimate ceremony for two. Wanting to focus just on them and their love, they opted for a mini vacation in Colorado during the winter. 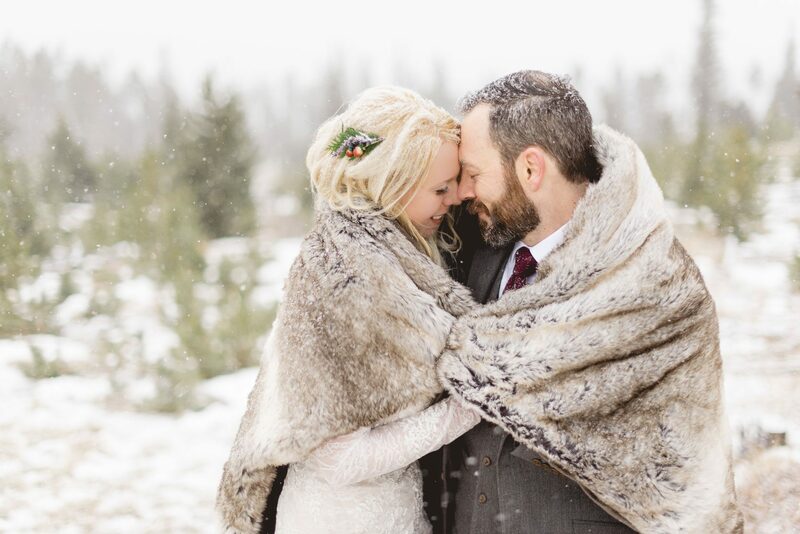 The day was a snowy winter wonderland elopement in Breckenridge, Colorado. 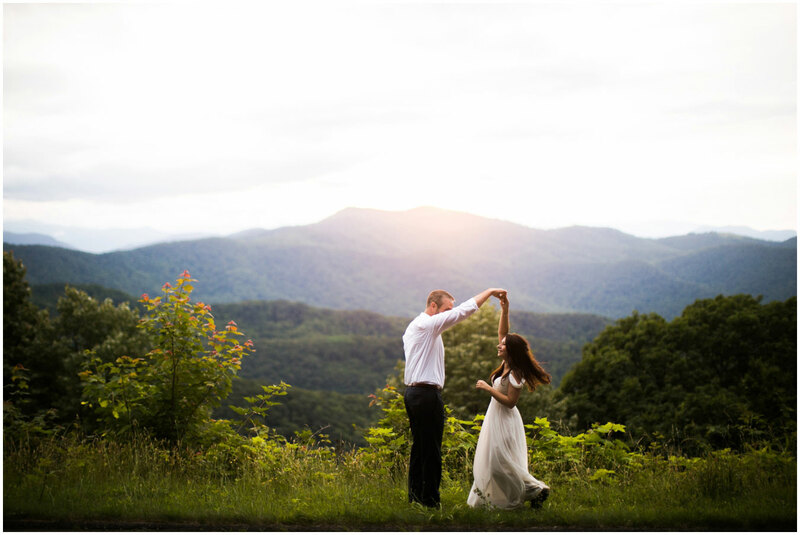 Asheville locals elope in the Blue Ridge Mountains. 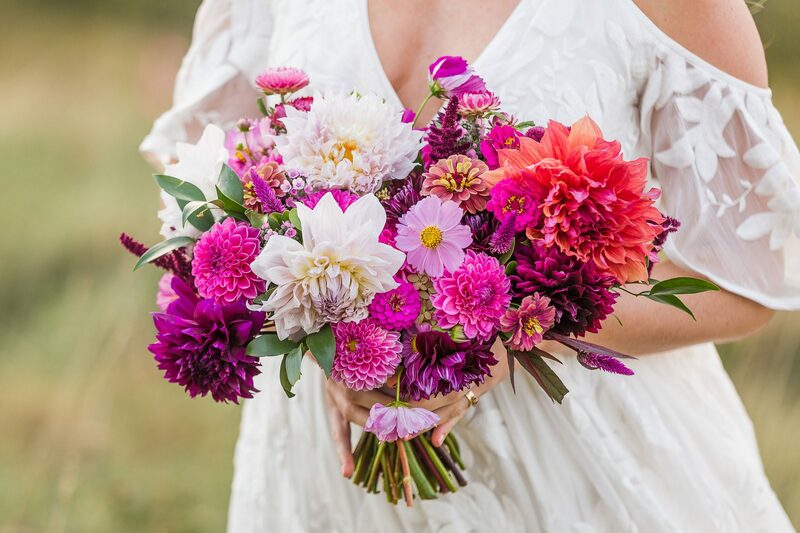 The elopement had a boho vibe with a champagne toast on a mountaintop as the sun set on the Blue Ridge Mountains. 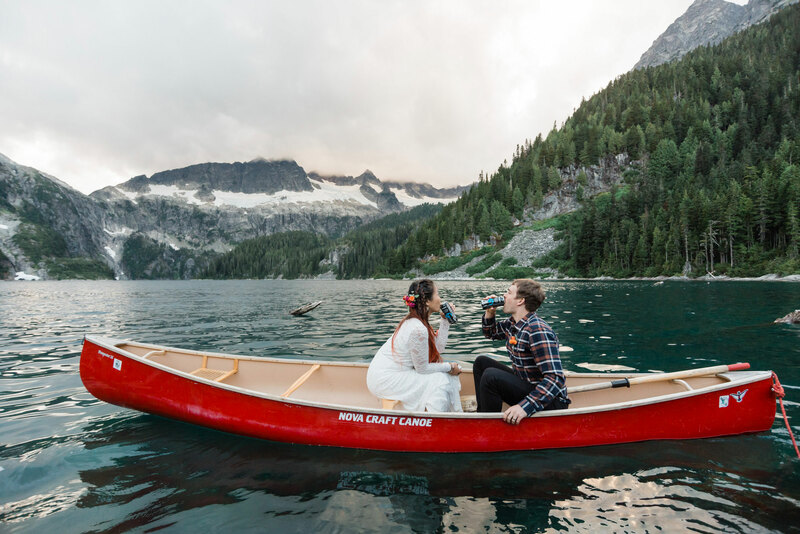 Joyce and James are the epitome of an adventure couple. They met at the rock climbing gym and now their relationship thrives with anything to do with the outdoors. It only made sense for them to fly to the top of a mountain to tie the knot and vow to love each other for the rest of their lives. 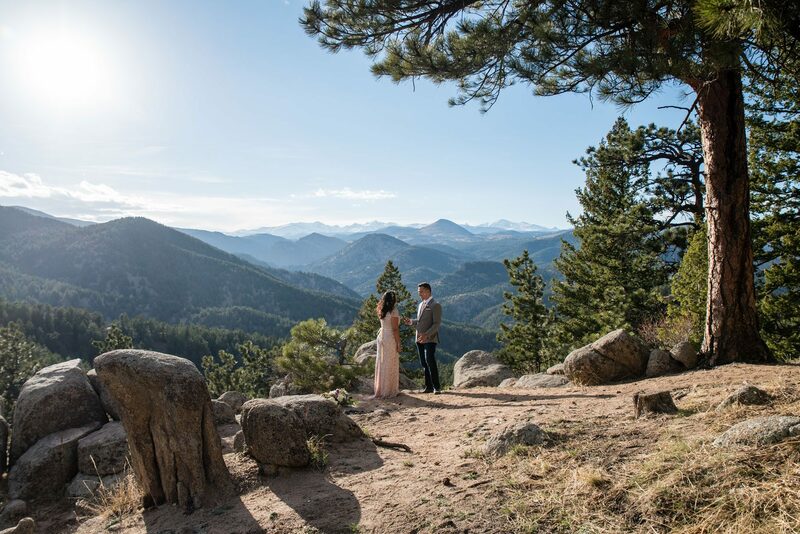 A simple & intimate ceremony for two on a mountaintop surrounded by breathtaking Rocky Mountain views. 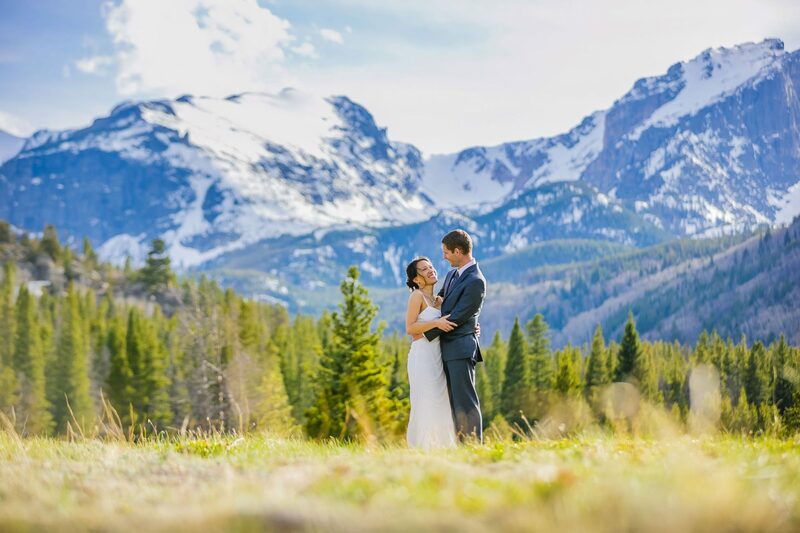 Elope in Colorado! An elopement with champagne and doughnuts on a mountaintop as a gorgeous mist turned the summit into something reminiscent of Scotland. Alexandria and Jaymeson have been married for five years and decided to elope for their five-year anniversary to renew their vows privately. 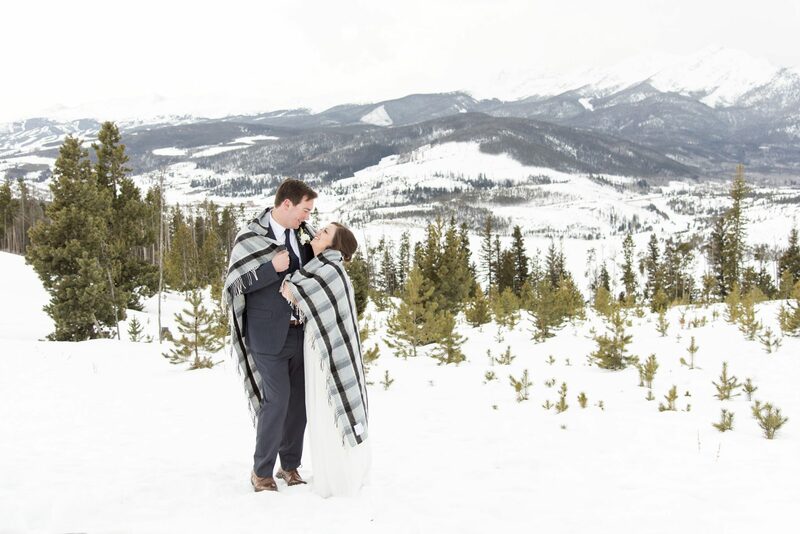 Chris and Sarah had an intimate elopement in Rocky Mountain National Park with huge mountains and gorgeous snowy vistas.